Fifteen years after the renovation of Welschen 7 in the Rotterdam district of Overschie, architecture firm Van Schagen took stock in the book Grootschalig maar subtiel. What can be learned from this early restructuring project? Welschen 7 is an early example of how different it can be and how this  in the words of architect Van Schagen  can lead to surprising results. At the time, in 1993, the renovation was awarded the National Renovation Prize and everyone expected the neighbourhood to become a shining example of how to approach the restructuring of the post-war city. But nothing could be further from the truth  comparable projects can only be found sporadically. This can be put down in part to the complexity already referred to, in part to the more commercial approach now taken by housing associations and in part to the drying up of subsidies. Regarding this last issue the new cabinet policy would seem to offer new opportunities, but the objective of these plans still seems to be demolition and new construction. The discussion partners agree that a thorough research phase is essential in the approach to post-war districts. Pim Vermeulen, the alderman responsible for public housing in Rotterdam at the time of Welschen 7 (and now chairman of the board of directors of the Bank Nederlandse Gemeenten) wonders if design offices are capable of recognising the qualities of these neighbourhoods or are they too focussed on their own thing, too eager to create images and achieve results. In his farewell speech, the Delft professor André Thomson called the current approach to restructuring playing safe. He condemned that attitude; 'the difference between avoiding risks and laziness is paper-thin'. According to Van Schagen the essence of the development plan for Welschen 7 is the link between different scales. The qualities were studied at the urban scale and at that of the house plan, and at the scale of the shell of the apartment blocks as well as at that of the housing zones. This research resulted in the logic for renovation: densification along the long lines (that connect the neighbourhood with the surrounding urban fabric, also across the A13 and A20 motorways), while within the complex could be thinned out. A square was made, dwellings were added to together and gardens were created. But that was just the physical side of things. The connection of scales also meant connection of interests and, in the process, the generation of funding. In projects of this kind the very first thing is to ensure that everyone has the same aim. The art is to make clear at an early stage what the benefits of renovation could be. You dont need that just to convince the client and the city authorities. The discussion partners were in agreement on the result: the restructuring of Welschen 7 is a success. That image is also supported by the interview with residents featured in the publication. Of course there are some complaints, but residents praise the social cohesion, the rent levels, the clear green structure and the improved diversity in types of housing. The wonderful photos by Joop Reyngoud indeed show a lively and varied neighbourhood. 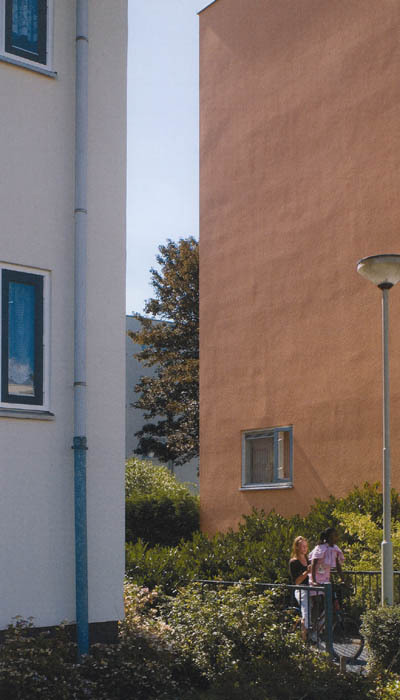 The book reveals a strong affection for the city and a deep knowledge of post-war housing. It would be good if other offices also availed of this knowledge when working on restructuring projects. After all, the profession is, as Wienke Bodewes puts it, about, 'making neighbourhoods people will grow fond of and want to live in for a long time'. Or as Vincent van Rossem put it recently during the Jan Schaeffer lecture: 'Urban design is perhaps the essence of European civilisation, in which planning, legal security, housing for all and civil engineering merge to form a dignified living environment'. Meticulous research into urban cohesion (both internally and externally) and attractiveness of exterior space, dwellings and their floor plans, the aim to mix programmes and the development of a strategy to convince all parties of the possible future qualities of what exists, preserves against the pitfall of a large-scale approach in which the essential cohesion (both urban and social) is lost. 'Thorough research always leads you to surprising solutions that are so much better than everyone thought beforehand', argued architect Henk van Schagen during a round-table discussion among 12 participants concerning the renovation of Welschen 7, part of the post-war neighbourhood of Overschie in Rotterdam. The discussion was organised last year by architecture firm Van Schagen, fifteen years after the renovation, with the aim of evaluating the renewed district. 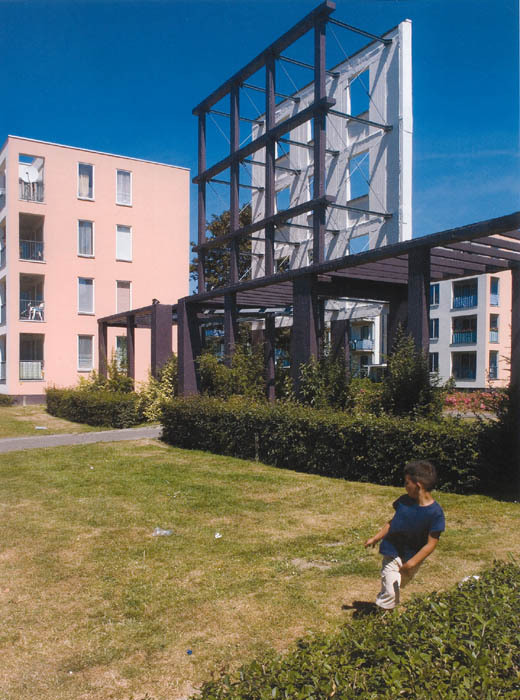 A report of that discussion, along with a survey of residents and the background to the renovation project, was recently published in the book Grootschalig maar subtiel. Oddly, discussions of this sort dont take place very often. A standard evaluation structure doesnt exist in the building sector. All you have are the fine words spoken when a project is completed, or a book full of fine photos is published. To express it in scientific terms, the building sector seems to always be a matter of n=1 research; each project is unique. But no matter how unique each building site is, a lot can still be learned from earlier experiences. Such an evaluation, not only upon completion but also after a number of years, as well as an evaluation involving occupants, is therefore an excellent idea, particularly within the framework of urban restructuring. The restructuring of the post-war neighbourhoods is the largest and possibly also the most difficult task in architecture today. Large, partly because the spotlight is now on forty restructuring locations designated as core policy areas by the current cabinet. And the most difficult, partly because one has to deal with existing residents, structures and social networks. A standard new-build project doesnt have this level of flexibility. It is precisely in such projects that you therefore would expect a thorough evaluation of earlier projects in order to accumulate knowledge. Despite the effort of an institute like the Expert Centre for Urban Regeneration (KEI) and the periodical Stadscahiers (that is specially devoted to this subject), little of the knowledge acquired here and in practice seems to penetrate the profession. The first results of the approach to restructuring are not very encouraging: in most cases the task is approached like a standard new-build commission: relocating residents, demolishing what exists and simply starting again. It seems to be a way, argued Esther Agricola (former director of KEI) during the discussion mentioned, to tackle the problems of youths, truancy, poverty and unemployment: 'making a clean sweep with grand gestures, because its urgent, something has to be done'. Its as though physical interventions of this kind contribute to social processes like strengthening social cohesion and increasing the social capital of the neighbourhood. A recent report by the Netherlands Institute for Social Research (SCP) entitled Attention for the Neighbourhood (2007), however, reveals that physical restructuring can only succeed if it goes hand in hand with social policy, also in the case of demolition and new construction. The physical side cannot lag behind, argued Agricola, but it amounts to more than giving the neighbourhood a facelift. 'The complexity of the challenge demands a precise and meticulous analysis so that one can operate strategically and work in a careful and intelligent way.' Its precisely that analysis that is lacking in many projects.